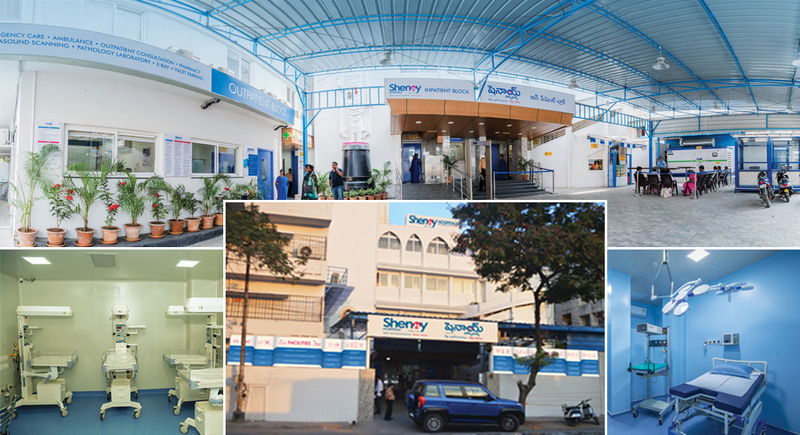 There is an In-patient and an Out-patient Pharmacy, open 24 x 7. Furthermore, in the near future, a door-to-door delivery service covering the nearby East and West zones plus Mahendra Hills is expected to begin. 24×7 Ambulance Service is available, fitted with lifesaving equipment and managed by well-trained paramedical staff. There is a modular Neonatal Intensive Care Unit (NICU) with state-of-the-art incubators/warmers along with ventilators and LED Photo-Therapy Units. It also has air handling units with HEPA filters. The NICU has 5 regular beds plus 1 Isolation Cubicle. The Out-patient consultation room is modern, catering to various services. It is open from 9 a.m. to 9 p.m. The hospital has ultramodern Super Deluxe rooms, Deluxe rooms, Standard rooms, and Sharing rooms which are all air conditioned. All the rooms are equipped with the latest Nurse Calling system and have patient-friendly toilets. State-of-the-art in-house Lab Services are available 24 x 7. Remember, reliable reports constitute the base of a good diagnosis. There is an Emergency Department which is manned 24 hours. This OT is well-equipped to perform simple surgeries. The Trauma and Accident Care Unit has a dedicated Casualty Medical Officer and a paramedical team. The highly advanced Ultrasound Scanning facility is managed by well-known doctors, and provides accurate images for a thorough diagnosis. The highly advanced SICU has 5 beds along with 24×7 monitoring facilities and Nursing Care. It also has a store of essential medication. The cafeteria caters to patients, attendants, In-House patients, and visitors. There are 2 modular Operation Theaters. These are equipped with air handling units with HEPA filters. There is a Central Sterile Supply Department (CSSD) attached to the Operation Theatre complex. It also has a central gas supply along with vacuum and compressed air. There are 2 state-of-the-art private Birthing Suites. These rooms have facilities for lullaby music, TV, and are air conditioned. Anesthetist Service is provided as and when required. There is a modern X-ray facility which surpasses traditional X-ray units giving clear images which can be stored in digital format. 24×7 Valet Parking Service is available for the ease of all patients and attendants. Wi-Fi Service is available and is chargeable.